Furniture Medic is a renowned name in furniture restoration and repair throughout the world and Furniture Medic by Bob Llorente lives up to the reputation of the Furniture Medic name with quality furniture restoration services in League City, TX. The technicians of Furniture Medic by Bob Llorente have been highly trained to provide quality craftsmanship and effective restoration and repair services for wooden furniture, antique furniture, kitchen cabinets, and furniture in offices and other commercial settings. Our furniture restoration and repair services are ideal for protecting your investment in your furniture because we can revitalize the appearance of your furniture and help prolong its life for a fraction of the cost it would take to replace it. Our main services include wood furniture refinishing and repair services, kitchen cabinet refinishing and refacing, antique furniture restoration, disaster furniture restoration, and commercial furniture restoration and repair. We can effectively repair minor to severe damage to all types of wooden furniture as well as restore worn out finishes using the best technology and methods known in the industry. For your convenience, we can do much of our repairs on-site. You can contact Furniture Medic by Bob Llorente at (409) 356-4553 for furniture restoration and repair services in League City, TX. Wooden furniture is found in almost every home and is chosen for its durability as well as its natural appearance which can really enhance the look of a room. Repeated use causes the finish on most wood furniture to wear out which can result in a dull appearance and the surface can sustain minor damage including gouges and scratches that can also affect its look. Furniture Medic by Bob Llorente provides wood furniture refinishing and repair services to fix and restore wooden furniture in League City, TX. 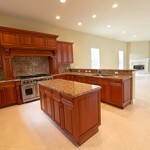 Our technicians can effectively refinish your wood furniture as well as repair broken pieces and minor surface damage. The cabinets in a kitchen are a major focal point and they are also used on a daily basis because they provide storage for food and dishes. This consistent use increases the chance of minor surface damage such as scratches and gouges as well as broken drawers and the finish may also wear out which can affect the entire appearance of the kitchen. Furniture Medic by Bob Llorente provides kitchen cabinet restoration and refacing services in League City, TX which is an ideal alternative to the intrusive and pricey process of fully replacing the cabinets. Our technicians leave the cabinet boxes intact while repairing or replacing your damaged or worn out cabinet doors and drawer fronts. Antique furniture pieces are cherished by their owners because they are quite valuable and they may also hold sentimental value if they have been kept within your family. 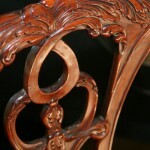 Each piece of antique furniture is unique and if it becomes worn out or damaged, its value can decrease significantly. Furniture Medic by Bob Llorente provides antique furniture restoration services in League City, TX to repair any damage to your antique furniture and restore it to its original condition so that it maintains its status as an antique. We use minimally invasive restoration methods to ensure that we can restore the value and original character of your antiques. 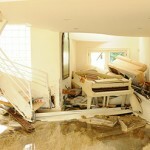 When a natural disaster such as a flood or fire strikes a home or business, very little is spared in the damage which can affect the structural elements of the building as well as the furniture. Smoke, fire, water, and acts of vandalism can cause significant damage to the furniture and it requires specialized restoration services to repair and restore the damage. Furniture Medic by Bob Llorente provides disaster furniture restoration services in League City, TX to restore furniture that has been affected by a natural disaster. Our experienced craftsmen can repair and restore significantly damaged furniture to its original condition. The furniture in an office or commercial space experiences heavier and more consistent use than furniture in a home which makes it more likely to become damaged or worn out. Damaged, worn out, or broken office furniture can really affect the look of the space and may lead to unfavorable impressions of your business. 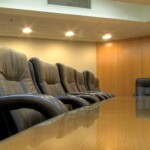 Furniture Medic by Bob Llorente provides commercial furniture restoration services in League City, TX to repair and restore furniture for local businesses. We can effectively repair and restore desks, chairs, tables, and bookshelves among others and we will work after hours to avoid interrupting your business activities.